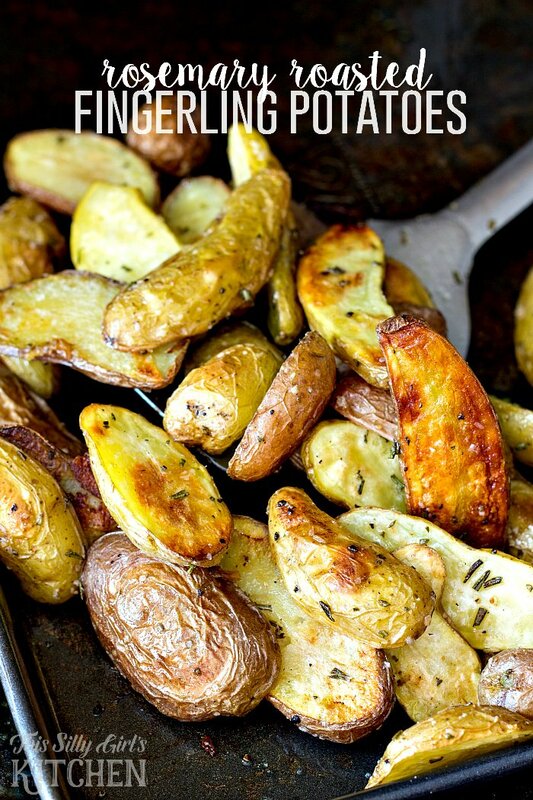 Rosemary Roasted Fingerling Potatoes, a beautiful, flavorful side dish for Thanksgiving, or any night of the week! Who doesn’t love bite sized fingerling potatoes! 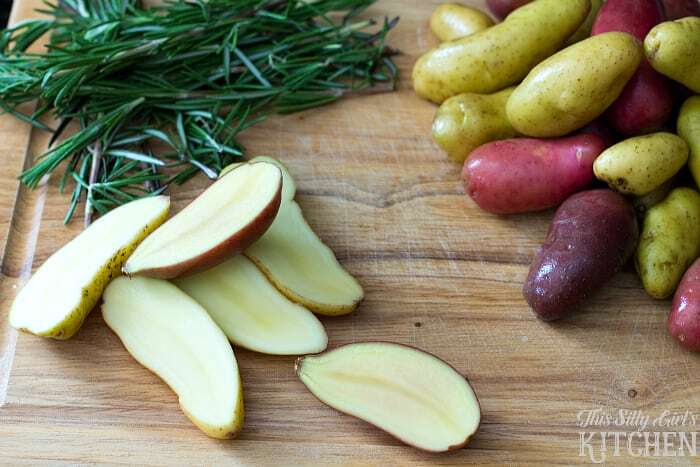 Fingerling Potatoes- simple and delicious! Woah. The first thing that came to mind when I tasted these potatoes! Sometimes (well okay, almost ALL the time), the simpler the recipe the better! 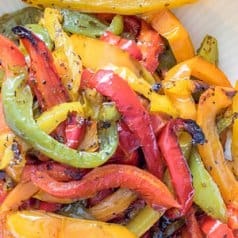 There are 5 ingredients total in this recipe and two of them are salt and pepper. 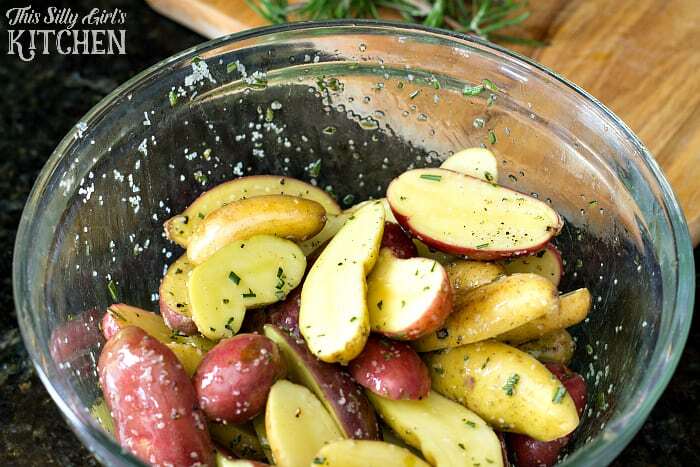 These rosemary potatoes are some of the most flavorful potatoes I have ever eaten, and ready in 30 minutes!! BUT, I served them along side turkey sandwiches tonight instead of fried and O. M. Geeee. Pure deliciousness! Take me to the recipe for fingerling potatoes already! If you would rather not hear my super helpful tips and tricks, FAQ, and my overall awesomeness and get straight to this delicious fingerling potatoes – you can very easily scroll all the way to the bottom of this post for the full printable FREE recipe! Bon appetit. Half way through the cooking process you will need to flip these. Most of them will probably stick to the pan, which is a good thing. Get a good spatula under them and be careful not to tear them up. This is what makes them that deep golden brown and delicious! Of course, depending on the size of the potatoes, check the largest piece after the 30 minute mark. If it seems not fully done, put them in for another 5 minutes and check again. 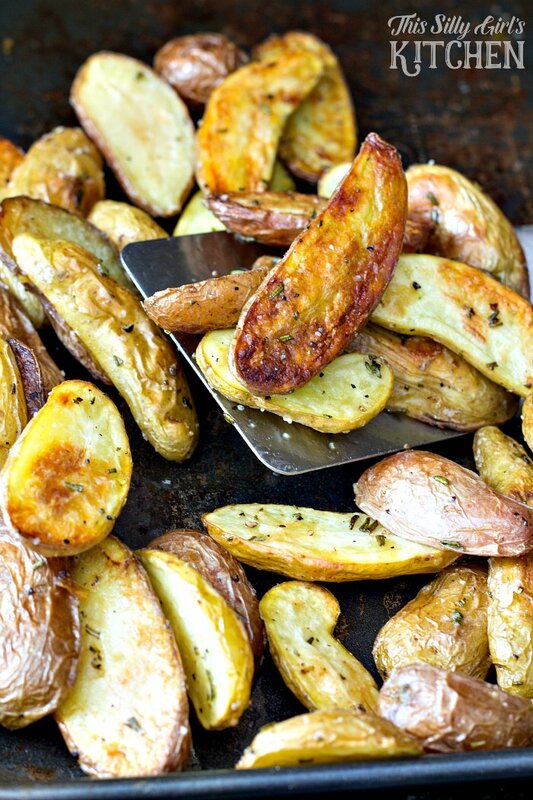 Easy as pie… or well roasted fingerling potatoes! Yummm, and the rosemary is not overwhelming at all. It is a very strong herb but goes so nicely in this dish. If you really love the flavor of rosemary, add more! 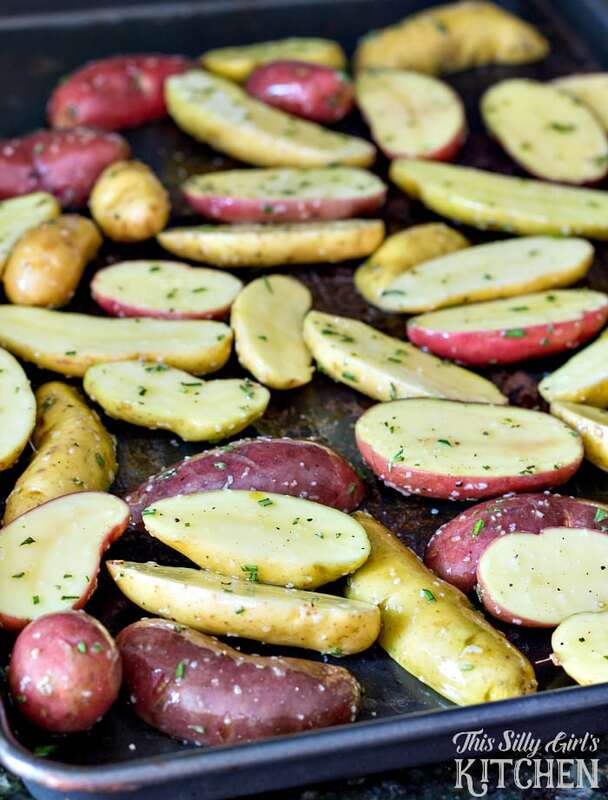 I love fingerling potatoes recipes! Are fingerling potatoes good for you? Like everything else, in moderation they are! They are a great carbohydrate source and the skin has some great vitamins. Not to mention the olive oil used on them is a healthy fat! Are fingerling potatoes gluten free? This recipe is gluten free. I use no flour or other gluten source when making these. I really hope you liked this recipe!!! 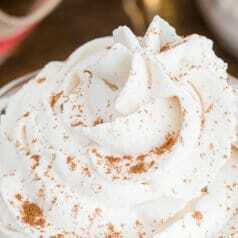 It will go SO perfectly with a huge Thanksgiving feast or a simple weeknight meal! 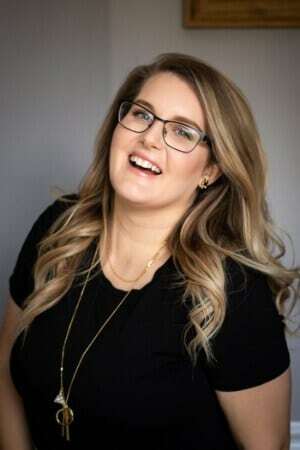 Now, check out these other yummy potato recipes if you enjoyed this one: Cheddar Bacon Ranch Potato Salad, Light and Crispy Homemade Potato Chips, and French Style Roasted Potato Salad. Preheat oven to 425°F degrees. Wash potatoes, making sure to get any dirt off. Slice the bigger ones in half, leave the tiny ones whole. 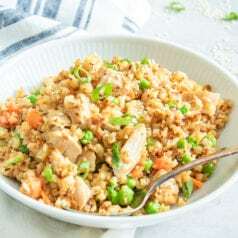 Place in a medium sized bowl, add the remaining ingredients and toss to coat. Lay out in a single layer on a sheet tray. Bake for 30 minutes, turning potatoes half way through. Serve immediately and enjoy!